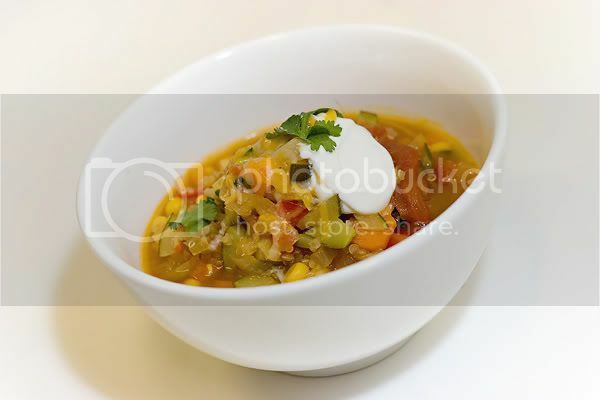 The Beans Blog: My Quinoa Vegetable Soup Photo! This was the very first time I had ever cooked or eaten quinoa! I have been wanting to try it for a while, and with all the rave reviews of this soup, I just had to try it! Here's my picture. This soup was super yummy. Very good on a cold Alaska evening! I topped mine with cheese and sour cream because I can't resist either!